Chinese President Xi Jinping on Thursday called on the International Committee for the Promotion of Chinese Industrial Cooperatives (ICCIC) to continue international cultural exchanges and make new contributions to world peace and development. 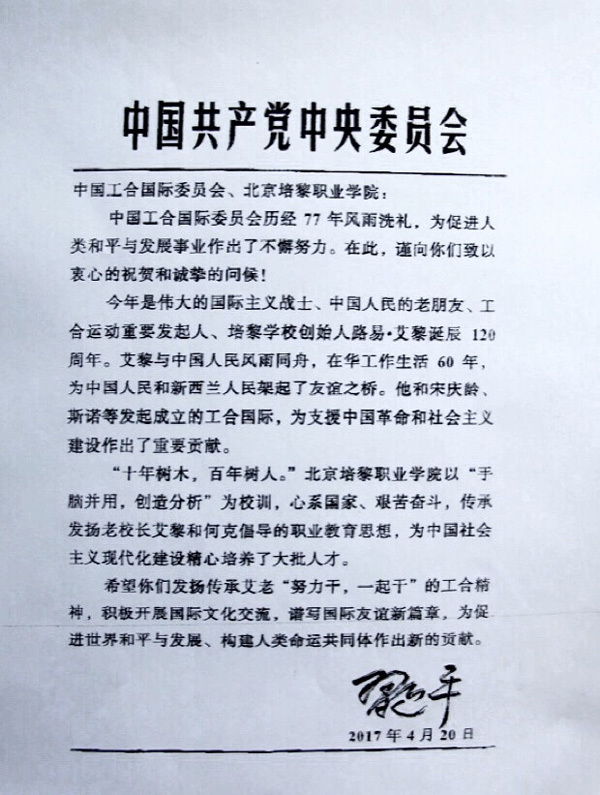 Xi, who is also general secretary of the Communist Party of China Central Committee and chairman of the Central Military Commission, made the remarks in a letter in reply to the ICCIC and Beijing Bailie University. 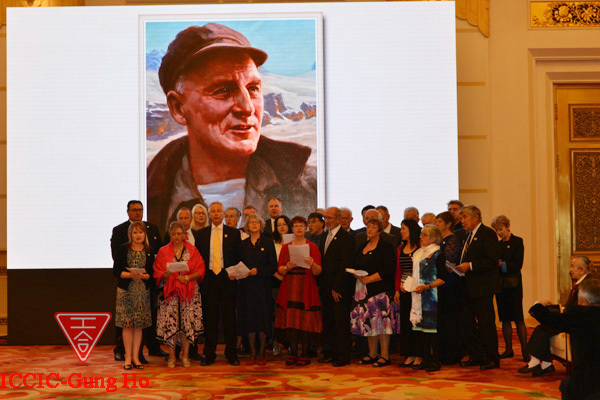 This year marks the 120th anniversary of the birth of Rewi Alley, the founder of the Bailie schools and a social activist who helped build friendly relations between China and New Zealand. He lived and worked in China for 60 years. Alley initiated the Gung Ho, short for Chinese Industrial Cooperatives movement, to organize unemployed workers and refugees for production to support the Chinese People's War of Resistance Against Japanese Aggression. 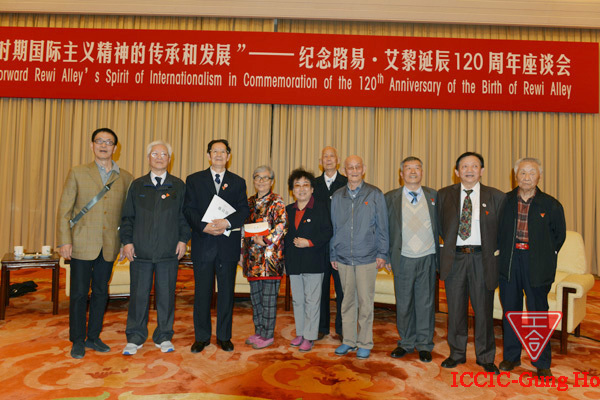 The ICCIC, established by Alley, Soong Ching-ling and Edgar Snow, made great contributions to Chinese revolution and socialist construction, Xi said. Beijing Bailie University has carried forward the spirit of vocational education championed by its former presidents, and cultivated a large group of talent for Chinese socialist modernization, Xi noted. The president called on the ICCIC and the university to promote Alley's spirit and contribute to building a community of shared future for mankind. Addressing a symposium to mark Alley's 120th birth anniversary on Friday, Vice President Li Yuanchao said the Chinese people are striving to realize the country's "two centenary goals" and the Chinese dream of great national rejuvenation. China is willing to make concerted efforts with people around the world, including the people of New Zealand, on building a community of shared future for mankind, he said. The symposium was held by the Chinese People's Association for Friendship with Foreign Countries. The ICCIC, established in Hong Kong in 1939, has played an important role in helping Chinese resist against Japanese aggression. Beijing Bailie University, founded in 1983, originated from the Bailie school established by Alley in China.